This is a great way for everyone at Brazos Meadows to join us on the journey of loving God, loving people, and serving the world as we meet to love God together. 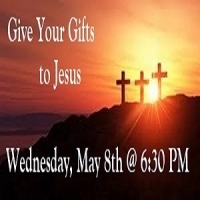 Any individual or family is invited to help lead this service by giving an offering to God. Your offering could be a song, a poem, a work of art, a scripture reading, etc. Please contact Paul Miller if you would like to present something at this service.